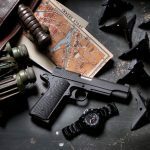 If you are looking for a fighting pistol built by a premier 1911 builder, specified by a trusted name in combat ARs, the BCMGUNFIGHTER 1911 is for you. The BCMGUNFIGHTER 1911 is ready for harsh use with several upgrades, including hand-fitted parts and G10 X-TAC grips with unique checkering. 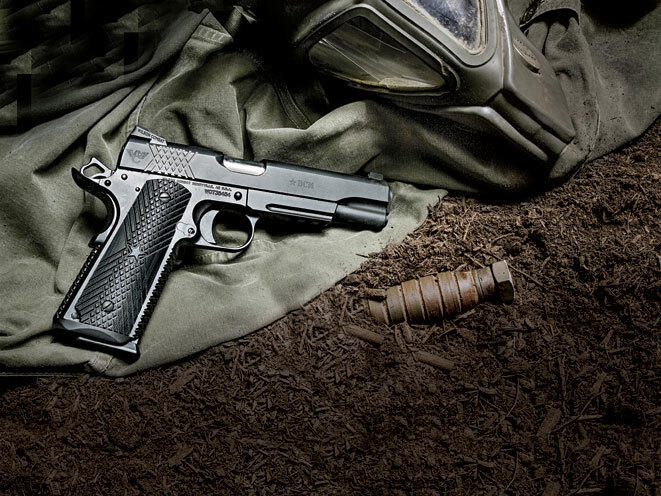 The BCMGUNFIGHTER 1911 reliably digested every test load at the range, including practice and steel-cased ammunition. The smooth, Armor-Tuff-coated slide is equipped with a tritium front sight for fast targeting in low-light conditions. 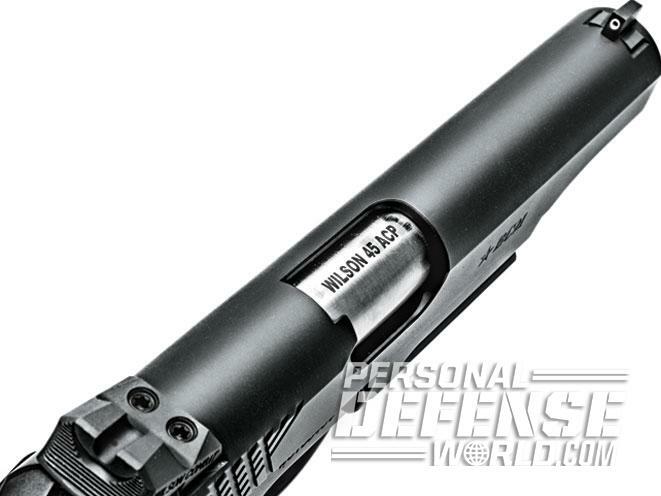 The BCMGUNFIGHTER 1911’s match-grade barrel made it easy to produce tight groups at 25 yards with several loads. 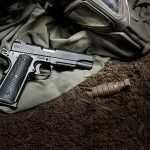 Looking for a simple 1911 made to the highest standards by a premier 1911 builder? 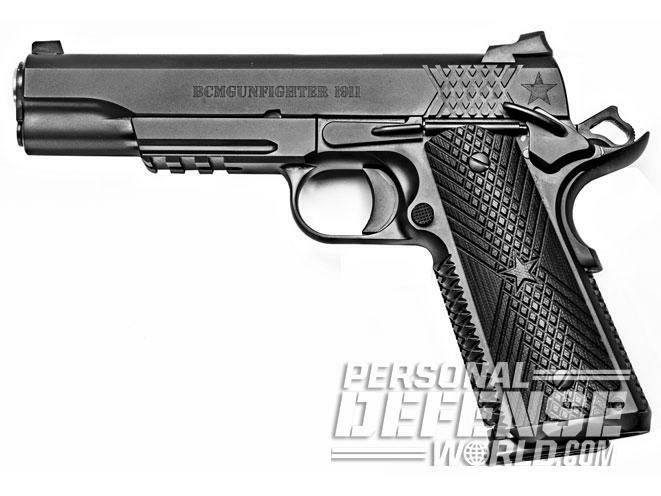 If so, look no further than the BCMGUNFIGHTER 1911 chambered in .45 ACP. 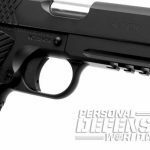 For this pistol, Wilson Combat and Bravo Company Manufacturing (BCM) have teamed up to create a combat-ready 1911 designed to meet the needs of today’s shooters. 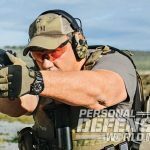 BCM is well respected among law enforcement and military professionals as well as shooting enthusiasts, with products designed to work when your life is on the line. 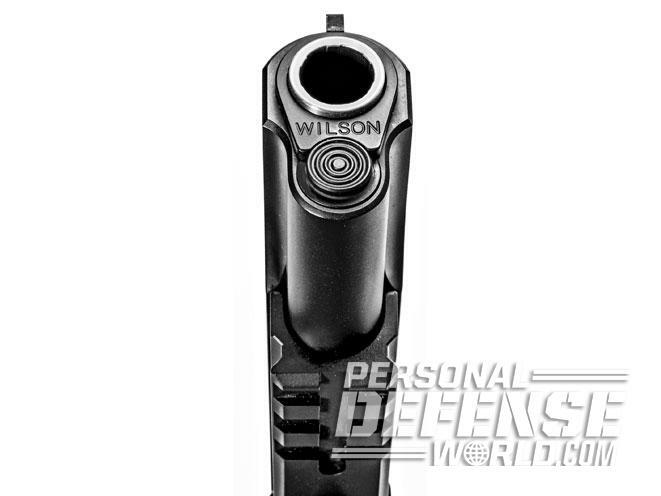 Wilson Combat has been building high-end 1911 pistols in this same vein for decades now. 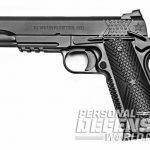 Offered as part of a limited-production run, the BCMGUNFIGHTER 1911 pistols are only available in two configurations, with or without an ambidextrous safety. 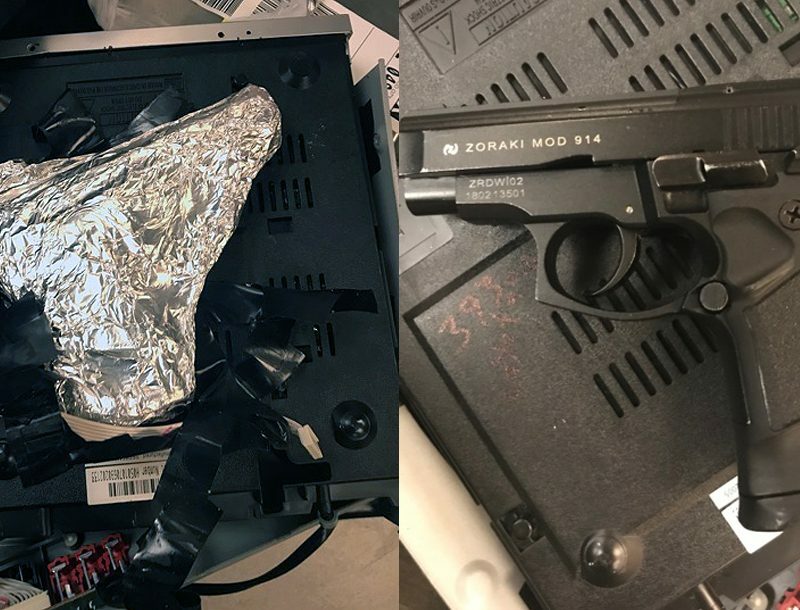 A unique serial number sets your pistol apart from the rest. 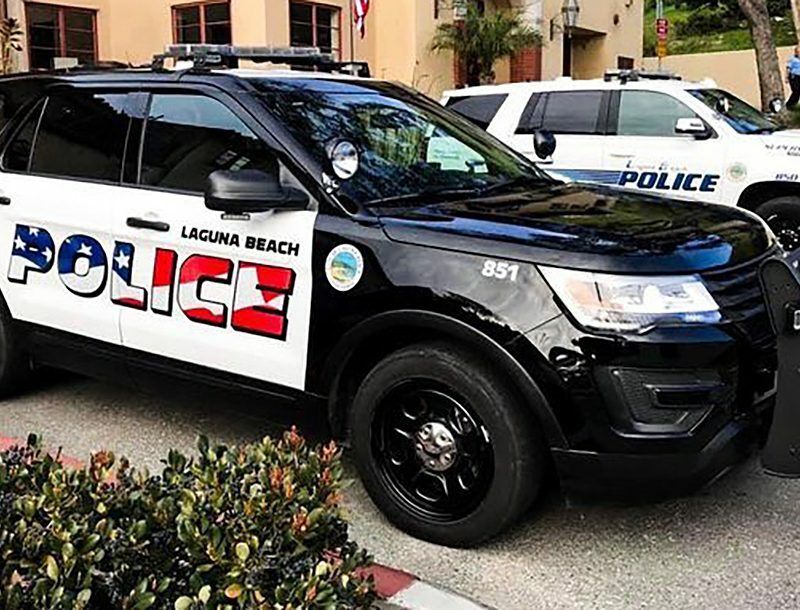 But make no mistake: This is no safe queen—it is designed to be at your side whether in uniform, on a deployment or headed to the mall. 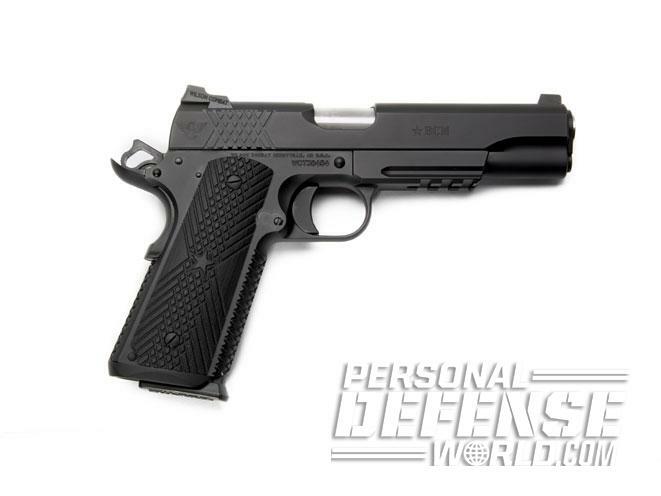 It’s a workingman’s 1911 built using some of the best parts available on the market today. The BCMGUNFIGHTER 1911’s forged frame features a Picatinny accessory rail for mounting lights and lasers. The rail has three slots, making it easy to fit most of the popular devices. 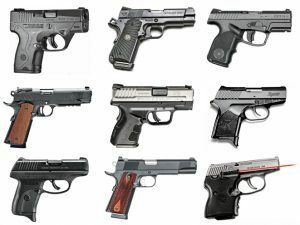 The pistol also features a solid, mid-length trigger with a pull weight between 3.5 and 3.75 pounds. 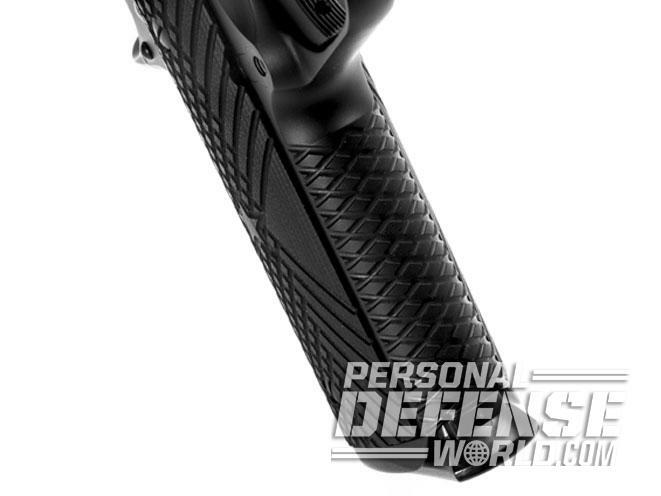 Wilson’s X-TAC serrated frontstrap and mainspring housing ensure a solid grip. The frame is also fitted with a high-ride Wilson Bullet Proof beavertail grip safety that is easy to handle for those with larger or gloved hands. The high-swept backstrap and lower bore axis help tames recoil and facilitate fast follow-up shots. The 1911 sports G10 X-TAC grip panels with BCM’s star logo in the center. These textured grips keep the pistol in place no matter the weather, whether you’re shooting with bare hands or while wearing gloves. Mated to the frame is a magazine well blended for fast reloads. 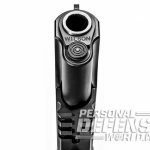 Wilson Combat’s forged steel slide contains a 5-inch, match-grade, stainless steel barrel that is hand-fitted to a perfectly mated bushing. The slide also features X-TAC serrations at the rear for a sure grip during reloads or press checks. On top of the slide is a tritium front sight as well as Wilson Combat’s Battlesight rear. 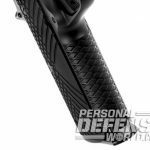 Every edge of the pistol is melted and polished for a smooth, fumble-free draw from concealment before being coated in Wilson’s durable, matte black Armor-Tuff. 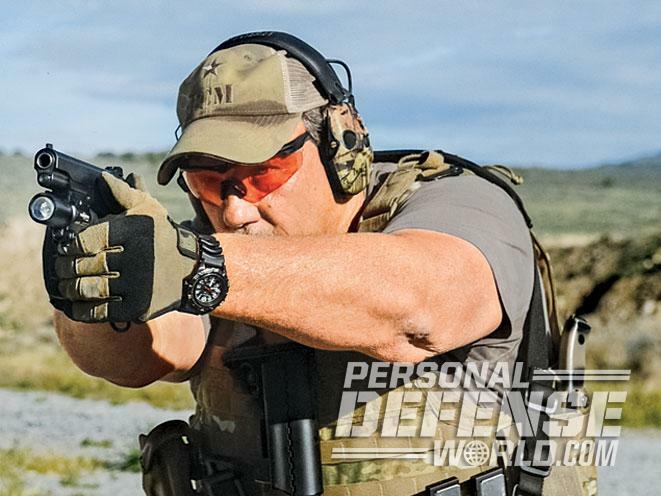 Each pistol ships with a test target meeting a “1-inch group at 25 yards” accuracy guarantee, a custom case and three of Wilson Combat’s eight-round Elite Tactical magazines. 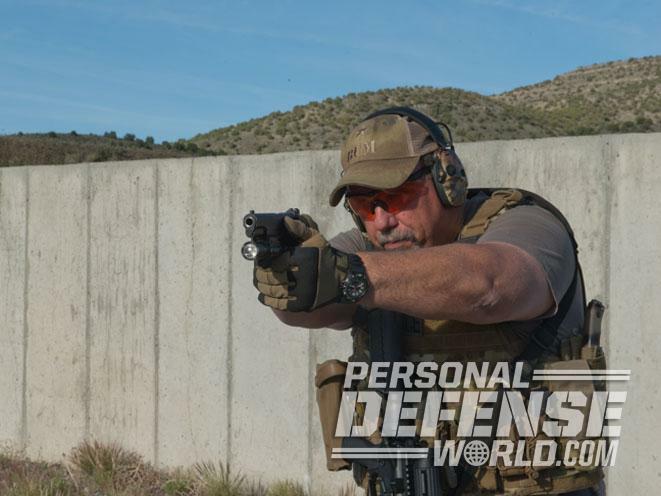 At the range, I ran the Wilson Combat/BCM 1911 with several modern self-defense cartridges, and the pistol performed flawlessly under all test conditions. 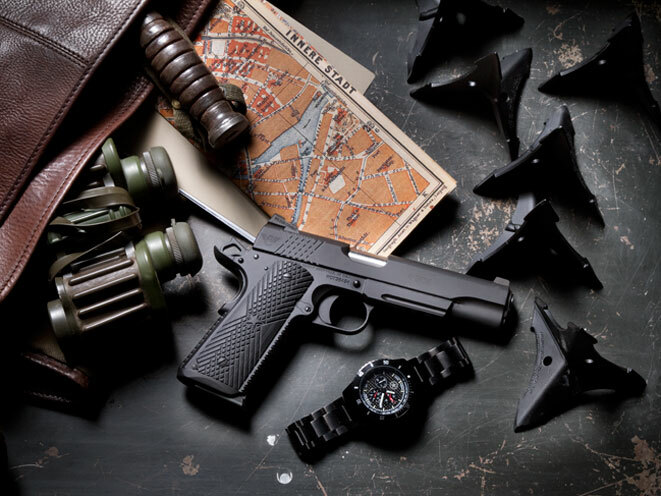 With a SureFire X400 light mounted to the frame, the 1911 was well suited to any tactical or patrol duty use. 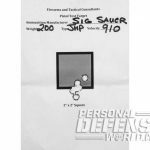 I also ran the pistol with several different magazines, and its accuracy and reliability were not affected. 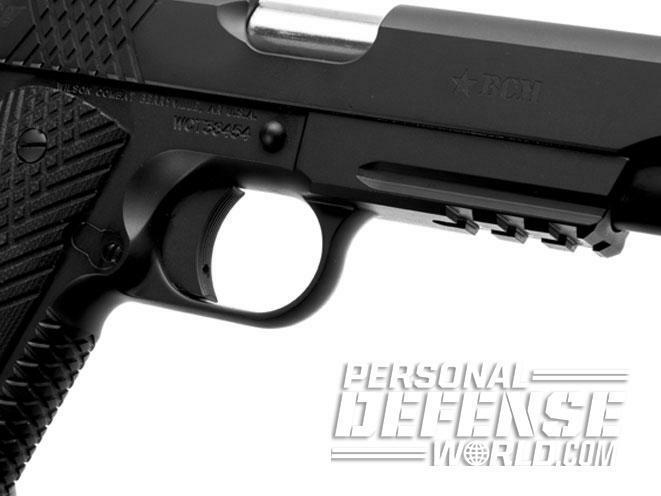 The BCMGUNFIGHTER 1911 was easy to use, fast on target and incredibly accurate. 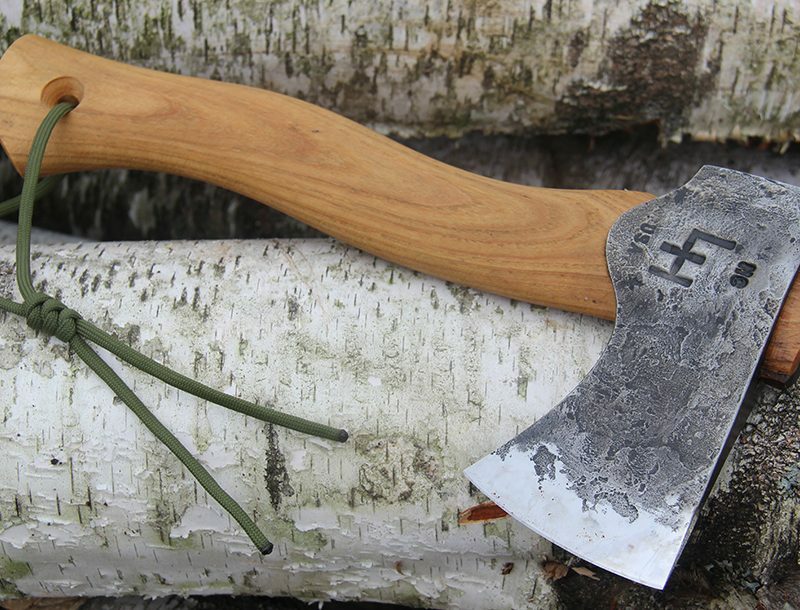 Carried on my hip, the pistol’s carry melt treatment ensured smooth and snag-free draws. The X-TAC checkering on the grip panels does not snag on clothing and did not print or cling to sweatshirts, T-shirts or other covering garments. 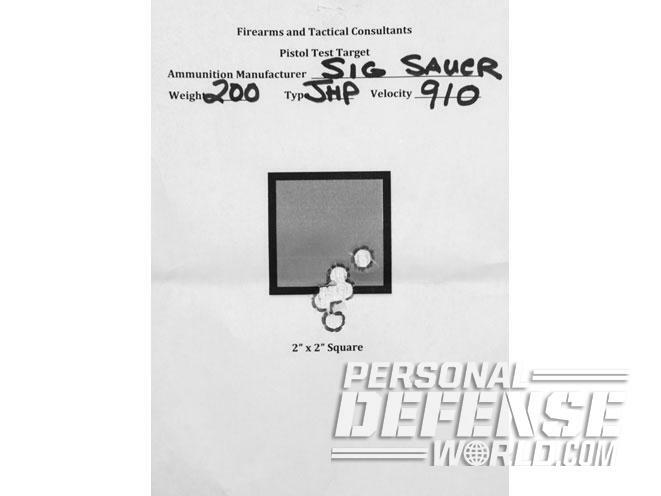 As I mentioned, the pistol’s accuracy was excellent with all of the self-defense ammunition I tested, with Sig Sauer’s excellent 200-grain Elite Performance V-Crown load producing the best 25-yard group, which measured 1.15 inches. 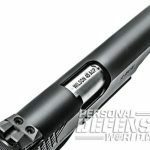 The BCMGUNFIGHTER 1911 was also accurate and reliable using several practice loads, including Hornady’s steel-cased Max Steel Match rounds. 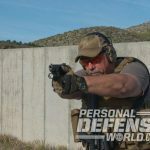 Whether practicing on the range or carried for self-defense, the BCMGUNFIGHTER 1911 proved to be an excellent 1911 pistol. 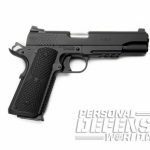 If you are looking for a fighting pistol built by a premier 1911 builder, specified by a trusted name in combat ARs, then this is the ticket for you.